App Attack: Is this the end of the textbook? The paper dust jackets. The panic of forgetting. Heavy bags and sore backs?! Such fond memories of high school textbooks. There’s something to be said for the feel of a hardcover book in your hands. Being able to flip to any page and read what’s on it. We can all remember reading and learning from textbooks in class. But don’t let nostalgia stand in the way of future success. As students continue to learn in new and different ways, teaching tools must also evolve. Today’s students grow up with access to seemingly everything in the world in one place, on their mobile devices: games, music, movies. Shouldn’t their textbooks be there too? Some educators think so. Where traditional textbooks are limited to the knowledge contained cover to cover, digital textbook apps often invite students to explore resources beyond the printed content. Students can conduct online searches, pose relevant questions on social media, and integrate other apps and online tools for a more engaging experience. What’s more, this level of connectivity allows digital textbooks to receive more frequent and timely updates. Is Pluto a planet? Is it not? Your science text can immediately reflect these sorts of changes. If the goal is to provide real-world lessons for students, the integration of online texts is also a good way to prepare them for life in the workforce. If a student wants to learn coding, for example, will reading about coding on the printed page offer the same experience as collaborating on a classroom project through an interactive mobile app? Practically speaking, digital textbooks are simply easier to haul around. In other words, no more paper dust jackets, no more heavy bags and sore backs, and no more forgetting your textbooks at home. By storing digital tools on their phones and/or devices, students have learning content with them anywhere and everywhere. Heick points out that these devices also usually come with useful tools, such as GPS and cameras for a more interactive, media-rich experience. Translation: The beauty of digital textbooks is that they can be as interactive as a teacher wants them to be. If teachers want these texts to function simply as something to read, that’s fine. But teachers can also up the ante on interaction and engagement to move beyond traditional forms of study. 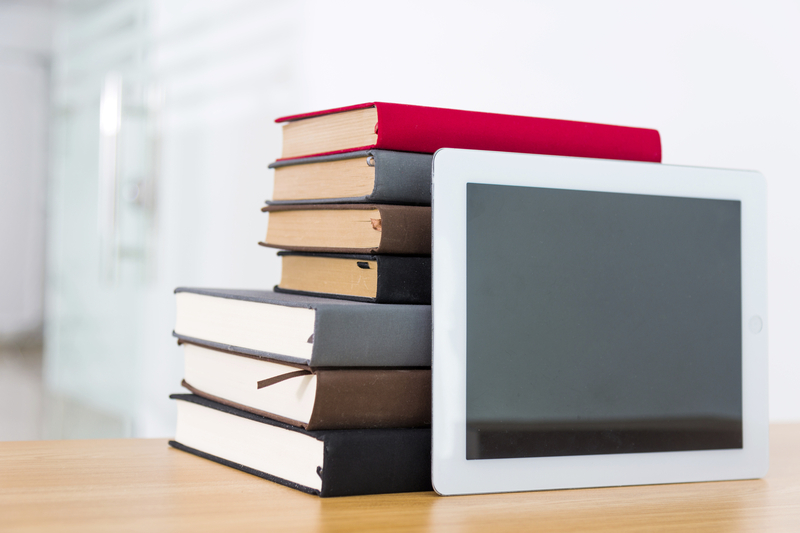 Is it time for your district to make the leap to digital textbooks and apps? According to Heick, it’s long past due. But this question can only be answered by you, your teachers, and your students. So before you throw out all those hardcovers, start a conversation with your community. Have you adopted digital textbooks in your classrooms? How did you engage your students in that implementation? Looking to update your teaching materials? Make sure you involve your community in that conversation—and find out what they want. Be the first to comment on "App Attack: Is this the end of the textbook?"